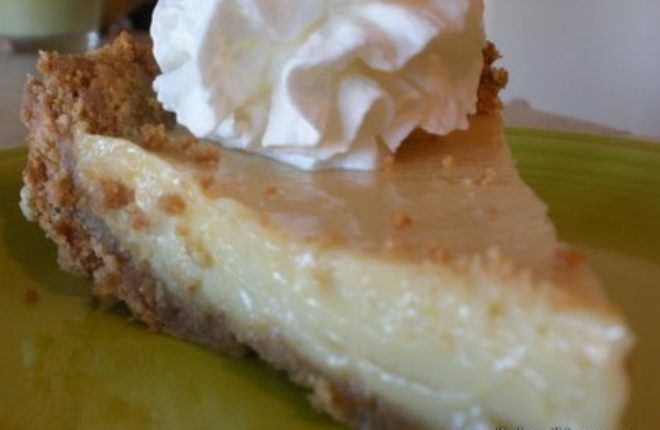 The heart of this key lime pie recipe is from the side of a bottle. It’s one of those things you look at and say, “Hmm. This looks really really simple. It’s either going to be a glorious disaster or gloriously good.” Oh, oh, oh. Most definitely the latter. 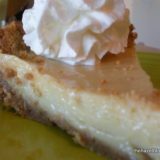 Usually I love going the scratch path when I can, but I look at those little key limes in the produce section, and think, “There is no frickin’ way I will have the time, patience, or grace to squeeze enough of those tiny little things to make a key lime pie.” And luckily, with this recipe, I think I won’t ever have to. The filling is from the side of the Nellie & Joe’s Key West Lime Juice bottle. I add a little lime zest, but that’s the only change. What really makes it over-the-top delicious, though, is making the graham cracker crust yourself. Trust me, it’s worth it. Place the graham crackers in a Ziploc bag, and with a rolling pin or sturdy glass, crush 'em to smithereens. In a medium bowl, mix the graham cracker crumbs with the sugar. Add the melted butter, and mix. Press into the bottom of a pie plate (and about up the sides), and chill in the fridge for at least 30 minutes. In a medium bowl, whisk the sweetened condensed milk, egg yolks, and lime juice. Zest the lime over the mixture, and mix well. Pour the filling into the chilled graham cracker crust. Bake for 15 minutes. Remove from oven and transfer pan to cooling rack for 10 minutes, then chill pie in the fridge for at least an hour. Best eaten cold! Thanks for posting and linking up!! This sound delicious!! 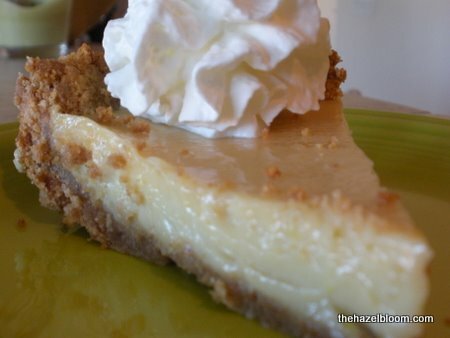 I’ve never made key lime pie!! I will have to try this recipe!! Sounds nice and easy!! My dear husband would love this pie! I know that is delicious! I do love LIME…tangy & tart!